VALENTINE'S DAY WINE AND MEAD TASTING WITH ZOE'S CHOCOLATES -- Now with bubbly! 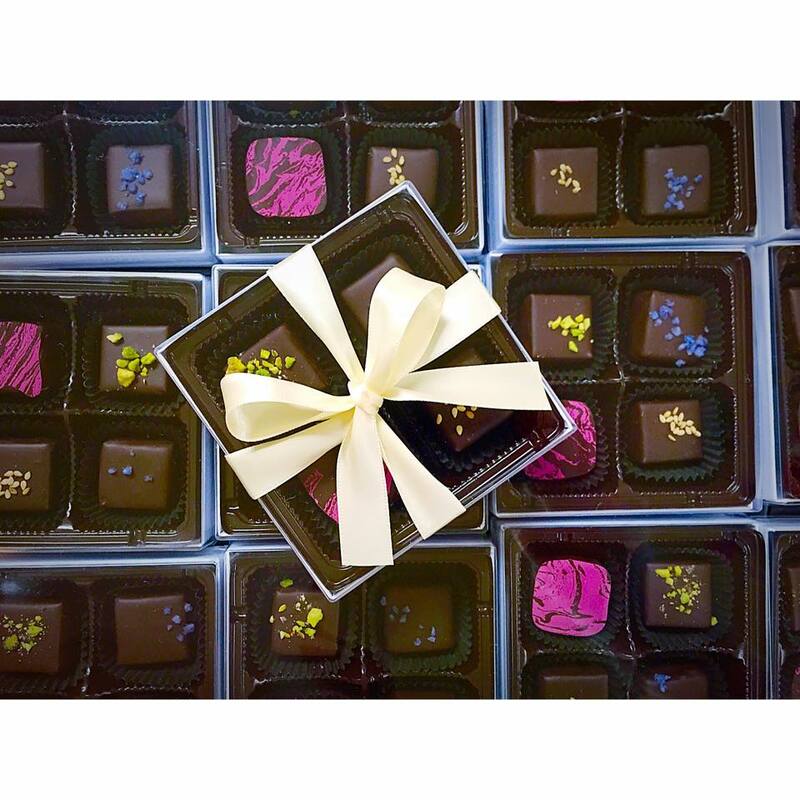 Join the team at Orchid Cellar Meadery and Winery for a special V-Day pairing with chocolates from Zoe's Chocolates! Each chocolate has been carefully chosen to complement our tasting list and your taste buds. Wine and mead (honey wine) taste even more delectable. As an added bonus, we're releasing our newest creation: Melusine - a sparkling mead made with fresh heirloom apple cider. Grab the one you love and treat them with something special! We've been working hard for the last few years on a very special mead series. Now that it's ready, all of us at Orchid Cellar are excited to share it with you. The "Mazer" series is a line of mead and wine hybrids that combine the best of both. With the help of some choice estate-grown petit verdot, petit manseng, and chardonnay grapes, we've made something quite tasty. Mazer Rosa is a fresh and light rose mead with some fantastic floral and red grape note. Mazer White is an elegant and slightly creamy mead with strong floral notes and fantastic acidity. To celebrate, we'd like to invite you to join us for an intimate five-course pairing dinner with Chris Spear of Perfect Little Bites. We'll start with a cocktail hour, descend into three scrumptious main courses and finish with a one-of-a-kind dessert. We hope you'll join us! Don't wait long as seats are very limited! 21+ only, please. Alcohol will be served. We have plenty of parking for everyone. We're happy to hang around and chat after the dinner to allow everyone to drive home safely. For those that don't wish to drive, we recommend downloading the uber app to your smartphone and requesting a ride to and from the meadery. In our experience, Uber is a great option in this area as long as you're not in a hurry to get home. Nope. You only need to know the name of the person that purchased the tickets. The Inaugural Frederick Wine Festival is a celebration of the innovative wineries from across the state of Maryland and is poised to showcase an industry that is quickly growing to include many diverse and critically acclaimed wines. The event is organized by Celebrate Frederick, Inc. in partnership with the Maryland Wineries Association. Paired with signature food selections from talented, local chefs, the festival is set to cater to the savviest of food and wine enthusiasts. If Cabernet Sauvignon and Petit Verdot make you swoon, and Albarino and Chardonnay are your go-to summer wines, then mark your calendars to join us in Historic Frederick. The festival will also feature some of the area's best music including: 19th Street Band, The Archives, Hard Swimmin' Fish, The Fabulous Mary Ann Redmond Band, Mark Derose, Kerensa Gray, and Ampersand String Band. Enjoy an afternoon of wine tasting and food pairings with transportation provided! Each winery will present a custom wine selection of 3 wines with each wine coupled with a small bite prepared by professional chefs. Learn how to pair local wines with food for presentation at your next dinner party or for your own enjoyment. We encourage everyone to use this opportunity to explore new wines, learn about pairings, and stock your cellar. Check out the rest of the info via the button below. We expect tickets to go quick, so don't dilly dally too much! We'll be pairing with Chris of Perfect Little Bites to create some truly one of a kind pairings. Check out some of his fabulous work below. Join the team at Orchid Cellar Meadery and Winery for a special V-Day pairing with chocolates from Zoe's Chocolates! Each chocolate has been carefully chosen to completment our tasting list and your taste buds. Wine and mead (honey wine) taste even more delectable. As an added bonus, we're releasing our newest wine: Jezebel- a dry merlot and petit verdot red blend. If the name on the ticket is different from the name on the ticket, then yes.